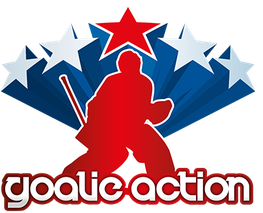 Regular, Advance and Performance Goalie Camp, August 1st - August 4th 2019 (Thursday-Sunday), at The Rinks, Yorba Linda, California. I am aware of the facts that there are no fees. Lunch, drinks and snacks will be provided if you want. I confirm to come to all the sessions I registered for as it is crucial for the organization of the practice. I bring my own equpiment. No full equipment necessary, helmet is required, jersey will be provided by Goalie Action. I like to participate at the provided players skill practice. The goalies and we requiring good shooter to run a good practice, depending the goalie group we adjusting as well the quality of players. You can choose sessions in all groups if you qualify the level. We need 6 to 12 players per session. Ready for sending! We will confirm your registration within the next couple of days. Thank you for choosing Goalie Action. We are looking forward to a great camp experience with you.